The Experience:When I entered Zu Tisch, I instantly got transported to a German tavern. Dim lit wooden interiors, a wall with an outline of the Germany map. I was charmed until I saw the couple on the next table sip their drinks from a tall laboratory test-tube and a fishbowl. Well, a popular bar in Delhi has just this theme. Minus 10 points for the originality. I hoped the flavours would be authentic German—I would know because I have travelled there a few times and am an avid foodie. The good stuff: The menu has a great variety, focusing on German, but popular international food is served too. The Bavarian Beer Cheese Soup with lamb was delightful, and nothing like anything I’ve had before. The hint of beer made all the difference. The chef nailed the BBQ spare ribs! They were soft, oozing with taste. I was extremely contented with the Eisbein. 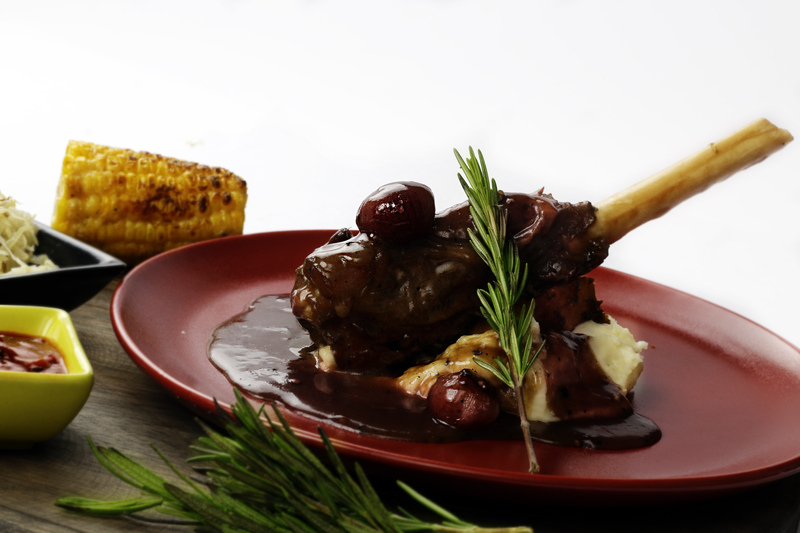 The lamb shank was cooked to perfection and the mashed potato was delightful. 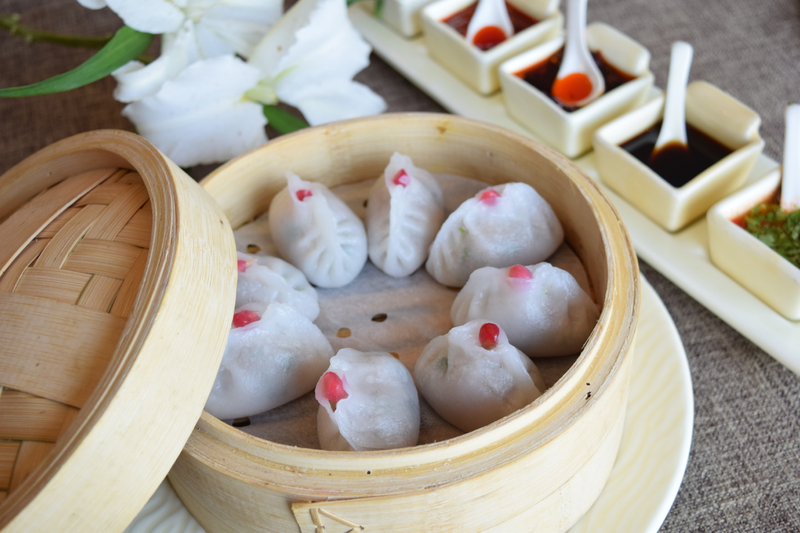 This meal is sufficient as a main course for one person, and a highly recommended one. The asparagus pizza is a good option for vegetarians. My pick among the drinks: the Thai Mama. The distinct flavour of kaffir lime leaves along with fresh oranges, pineapple and rum is wonderful. The not-so-good stuff: The dishes I was most excited for, turned out to be the most disappointing. This includes the Traditional German Potato Salad, Weiner Schnitzel, and sauerkraut. All I can say is, the look and taste is far from authentic. The potato salad was not German and the Schnitzel was tiny, very thin and chewy. The National dish of Austria deserves more respect, so does the traditional German Potato Salad. You might think why I’m not talking about German sausages? Oh, that’s because they weren’t even available. My verdict (and suggestion): This place does not do justice to the main cuisine they are offering. 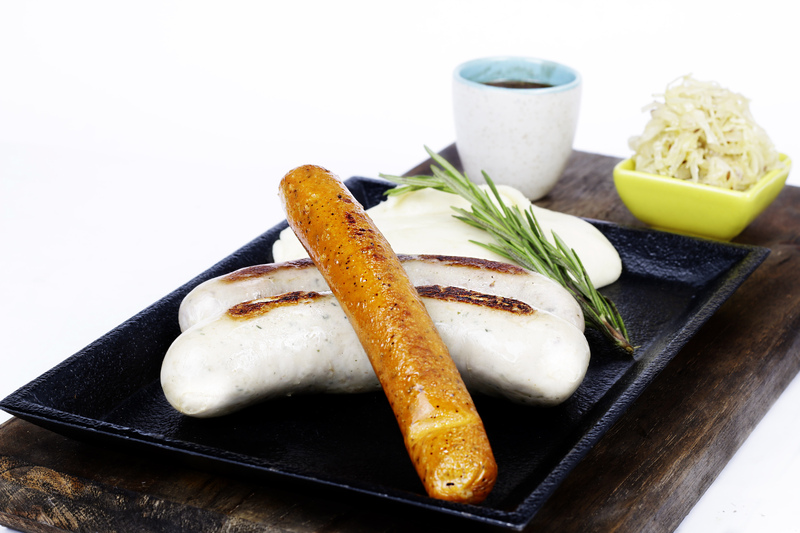 It’s unfair to those who haven’t tasted authentic German cuisine before, because they will end up with a completely different (and a not-so-good) opinion on the food. Chef needs to be trained, along with the staff, who were not the most attentive. The owner/s should travel to Germany to try the food, and try bringing the same quality back for us. Taking inspiration from the bar concept of someplace popular is not a recipe for success. It all comes down to the food. A little effort should be put into serving something close to authentic. Ditch those beakers and tubes and get the beer mugs out! 3 Point Impression: Comfortable. Not genuine. Confused. I love Punjabi cuisine. 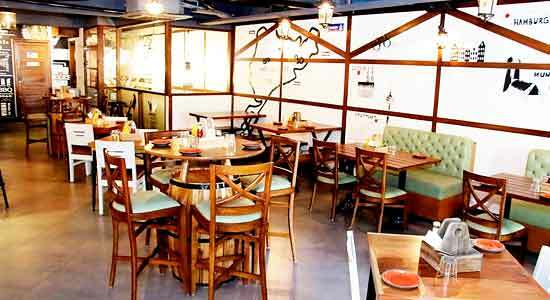 Can you suggest a good Dhaba-style restaurant in Delhi? 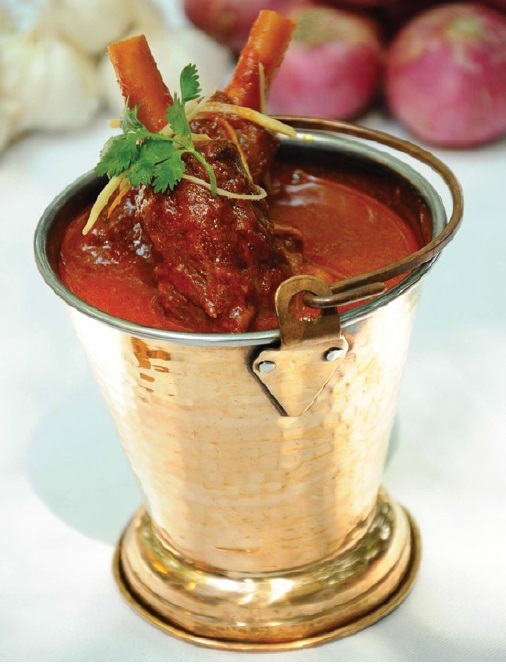 You should check out Dhaba by Claridges at the DLF Place Mall, Saket. 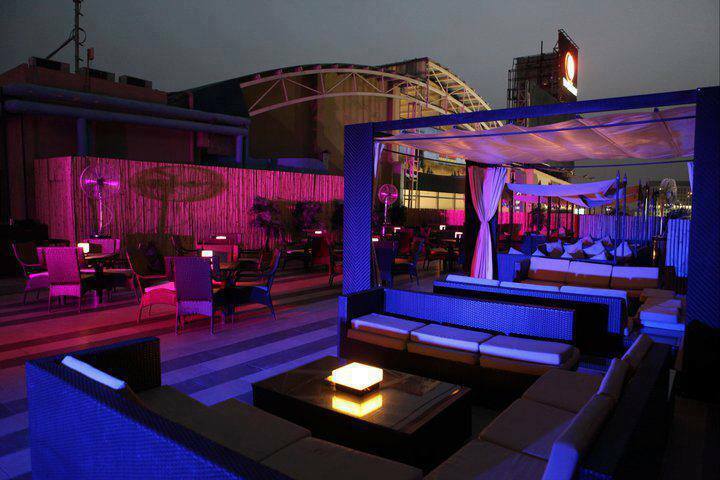 Read on to find out what TS writer Harshvardhan thought about the place and its food. I was pleased to see the redoubtable Ravi Saxena heading the Dhaba kitchen—a good chef guarantees good food. Make that great. 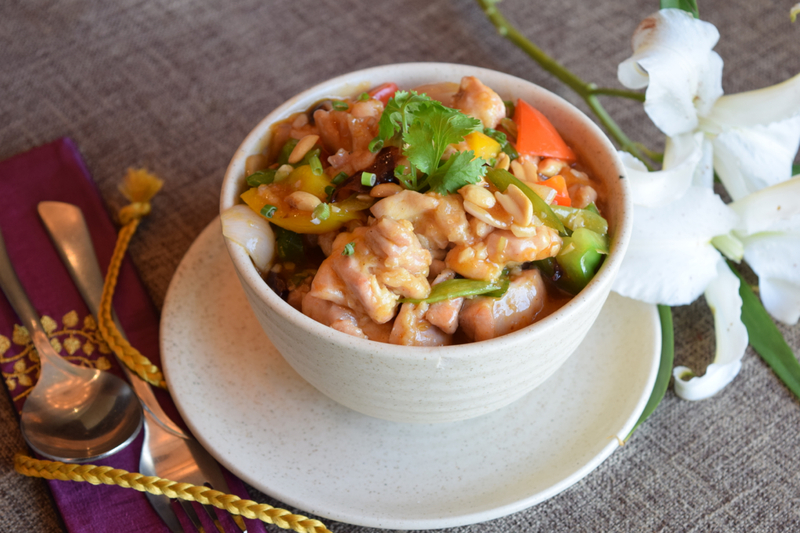 Once you have feasted your eyes on the very colourful decor of this eatery, focus on the delicacies that arrive, and let your taste buds feel pampered. The black dal rivals the best in the city, and I liked that it had a bit of fire in the form of red chillies. The only mild disappointment was the Kadhi, which felt a bit bland. But then as my companion pointed out, kadhi really is a matter of individual taste, and it’s hard to agree on the ‘right’ flavour. But the rest of the fare from lassi to kababs and everything after—was undoubtedly luscious, filling and satisfying. The bar is alluringly named ‘Theka’ but alas, the restaurant was still awaiting its liquor license when I went. 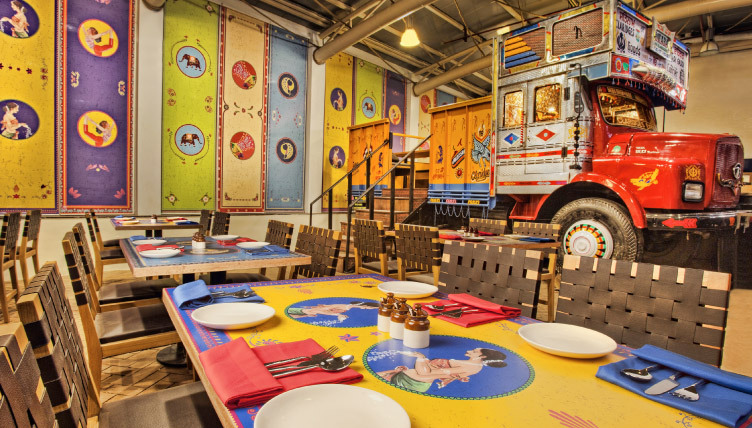 If you haven’t been to the Dhaba yet, now is the time. I am sure they are serving Makka ki Roti and Sarson ka Saag these days. You make your booking, while I make mine! This review was first published in the January-February 2014 issue of Travel Secrets Magazine.